Claytonb was awarded the Basic Barnstar by warren for their work in this research note. I have been experimenting with numerous different types of material to set a custom white balance with the Canon S100 fitted with the MidOpt 660/850 red filter. I wanted to see if I could get the NDVI values close to the correct range with jpeg images without calibrating with a calibration target. 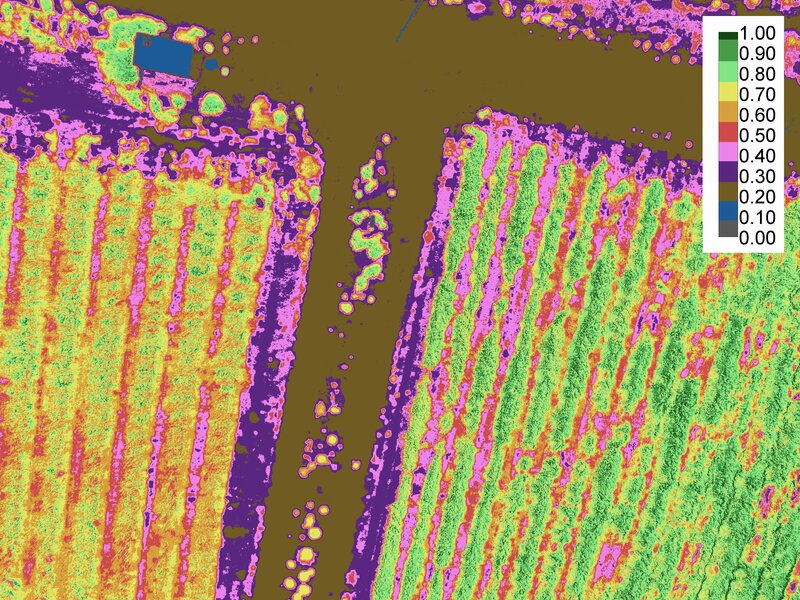 All the materials I had used have produced NDVI values that are lower than the actual value that I get with the Greenseeker crop sensor. I had been setting the white balance at solar noon in the sun or in the shade with many different materials and was not satisfied. I recently found a material that gets it very close to the correct value. 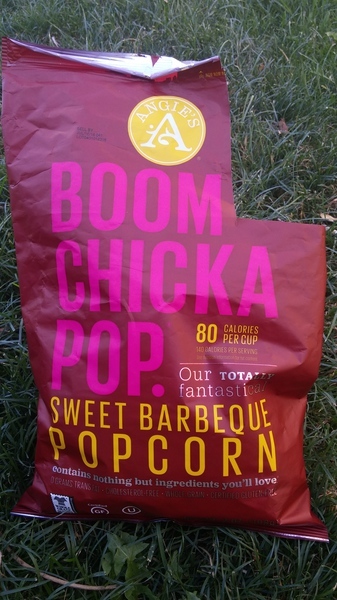 Believe it or not, a bag of popcorn that can be found at stores such as Walmart, Fred Meyer, Target, and more. 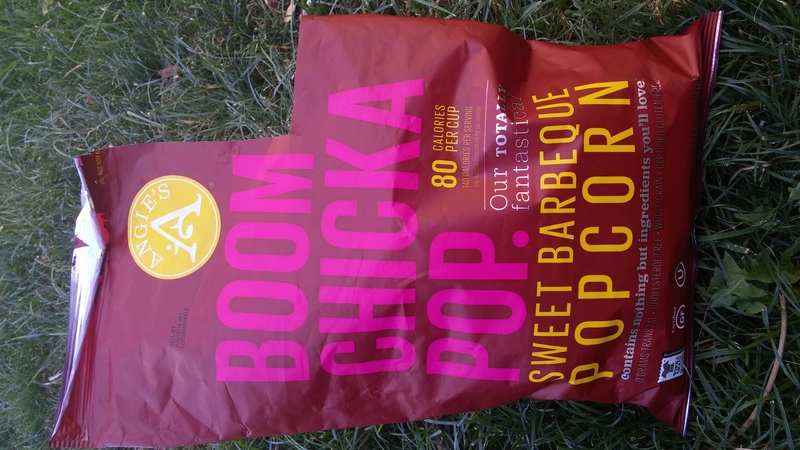 It is the Boom Chicka Pop sweet barbeque popcorn bag. It is made of a foil type of material with the color of red I have been looking for. As you can see in the image I cut off a corner of the bag to compare with later. I set the white balance at around 9am with the sun out, and standing in the shade. I know it sounds crazy but take a look at the results. 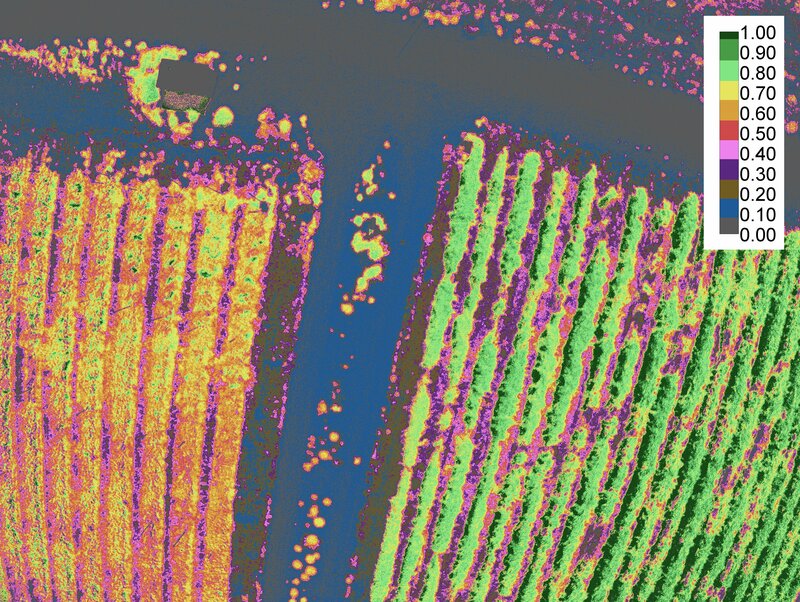 This next image is a RAW image calibrated using a calibration target with NDVI values verified with the Greenseeker. The scene is an orchard with grapes on the right and apples on the left. The apples have low NDVI values because the grower applies a protectant to keep the leaves from getting sunburned. Now take a look at the uncalibrated jpeg image from the same scene and data set. I have been able to consistently produced similar values at different times of the day with jpeg's as long as the sun is directly illuminating the scene and the sky is clear. The NDVI values may not be comparable over time however many of the growers I spoke with only care about variations in that field for that specific day. This is a great discovery. It will be good to learn how this color works with a red filter like Wratten 25. I will keep my eye out for Boom Chicka Pop. That could be a win-win. @Claytonb great work as usual! 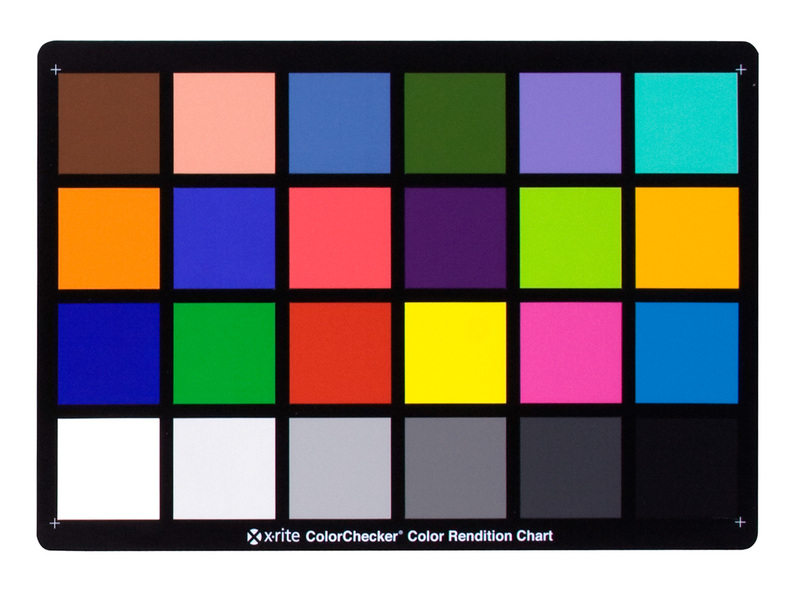 Have you tried some reddish colors of calibration targets such as the ColorChecker? http://xritephoto.com/images/products/resources/lowRes/msccc_w1.jpg This would allow for more general recommendations. Have you subtracted the IR leakage in the red channel? @Thorsten I have not tried using a chart like the color checker though I have used materials(plastic, felt, paper) in the shade of red on the chart and they didn't produce high enough values. The darker red seemed to work better. I have a suspicion the type of material made a difference as well. It would be interesting to see what the actual reflectance values are from this material from visible thru NIR. The above method did not account for IR leakage, it just forced the jpeg values close to the correct range with the current camera settings. I used the usual NDVI formula (NIR-Red/NIR+Red) I wanted to see if I could get the jpegs to show NDVI values closer to the correct range without actually calibrating with known reflectance values. @warren awards a barnstar to Claytonb for their awesome contribution!